You could probably tell how excited I was about my video interview with Robert Scoble by my post last week. Well it looks like I'm not the only one holding it in high regard. 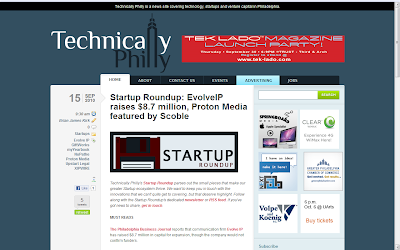 The interview caught the eyes of the folks at Technically Philly, who featured it as a must read in their Startup Roundup series. Cool dudes, thanks for highlighting us.